Prospects of tourism between Taiwan another Islamic countries. EXCEPT for his white skull-cap, 80-year-old Yusuf Ai looks as ordinary as the next man. The octogenarian is, however, the face for an official travel guidebook published by Taiwan Tourism Bureau titled Travelling in Taiwan For Muslims. Not only that, he has been featured in one of the episodes for Rasa Halal Orient, a travel-food programme aired by Astro Oasis. For tourists, Yusuf is like a celebrity chef while for Taipei folks especially, he is the one to look for if you want great beef noodles. See, Taipei has declared itself as the world’s capital for beef noodles and Yusuf’s has been a long-time favourite — not only for Muslims but for non-Muslims too, both locals and visitors. “His broth is full of flavour and tastes better than the rest in town,” says a non-Muslim local who has been a regular patron for some 20 years. Yusuf’s Ai-Jia Qinzheng Beef Noodle Restaurant has been a household name in Taipei for the past half decade. The retired soldier, who came to Taiwan from Henan, China, when he was a teenager, takes his restaurant as his duty to serve the Muslim community. While he still plays the main role — religiously standing behind the counter, preparing bowls and bowls of noodles — his son goes around the small restaurant to make sure everything is in order. Though it offers only two choices of noodles — clear (herb-based broth of cow bones) or hot and spicy (soy sauce-based beef stock), the restaurant is always packed with diners. Come during lunch hour, one will have to wait quite long for an empty table! Located at Chunghsio E.
Road, Ai-Jia Qinzheng Beef Noodle Restaurant is one of a dozen certified halal restaurants in Taipei listed in the booklet. It is probably the only restaurant serving local cuisine since the others are either Indian, Pakistani, Thai, Turkish and Burmese. Islam in Taiwan The earliest arrival of Muslims to the island was recorded in the 17th Century, when Muslim families from the southern Chinese coastal province of Fujian came with the Koxinga’s army to oust the Dutch from the island. The second wave of Muslim migrants came during the Chinese Civil War in 1949 when 20,000 Muslims fled the mainland China with the Kuomintang. Today, Taiwan is home to more than 50,000 Muslims and six mosques — two in Taipei and one each in Longgang, Taichung, Tainan and Kaohsiung. Capital Taipei houses the island’s oldest mosque, Taipei Cultural Mosque, which was established in 1940. Owned by the Chinese Muslim Youth League, the mosque’s current five-storey building was completed in 1984. The other mosque, Taipei Grand Mosque, is owned by the Chinese Muslim Association. It was jointly established in 1950 by the Taiwanese and Saudi governments, and many other Muslim countries, as a part of the government effort to expand foreign relations. Since it is located in the heart of the city, the Grand Mosque is the central place of worship for Muslim residents. While Friday noon sees Muslim men congregating at the mosque, Sunday has women and children getting together for Quran reading classes. Taiwan’s second mosque is located south at Taiwan’s Harbour Capital, Kaohsiung. The Kaohsiung Mosque moved into a better equipped building 43 years after it was first established in 1949. Before the completion of Tainan Mosque in 1966, Muslim folk in Tainan had to travel to Kaohsiung for their mosque activities. Looking by the locations of these mosques, it is probably safe to say that Islam in Taiwan mainly covers the west coast of the island. Thus, it’s not surprising that all the halal restaurants listed in the guidebook are located in the cities and towns where the mosques are located. Halal food in Taiwan As the island’s central point of culture, art and economy, Taipei offers 12 halal restaurants showcasing different tastes and cultures but share a common attraction — delectable food. While Yusuf’s Ai-Jia Qinzheng Beef Noodle Restaurant is hailed as the numero uno must-try, other restaurants have their own winning recipes to whet any picky taste bud. Some specialise in authentic food of chosen origins like India, Pakistani and Thailand, while others go for a mix of Burmese, Turkish and Chinese. Among these restaurant, Ali Baba’s Indian Kitchen located at Nanjing East Road, stands out for a true-blue north Indian food in a typical Indian setting. It started off as a humble foodstall in a Taipei night market. Business was brisk and the restaurant was set up. Today, it has another branch at Taoyuan. At Beining Road, opposite Taipei Stadium, are two Thai restaurants — Thai Food House Restaurant and Tai Xiang Yun Restaurant — located next to each other. Taipei’s collection of halal restaurants is not confined to the streets. Since the capital is big on theme parks, two of its famous parks have dedicated halal food outlets complete with prayer rooms. So, Muslims visiting Window on China Theme Park and Leofoo Village Theme Park should not worry over food or where to pray while enjoying themselves. Both theme parks are conveniently located near Taiwan Taoyuan International Airport. Taoyuan city, the suburb of Taipei, has five outlets offering halal Indian or Pakistani, Thai and Chinese food. Down south at Taichung, food lovers have more than just the typical international halal fare — typical Indian or Turkish. There, they have two delicious choices of Chinese numbers — Islamic Yellow Beef Dumplings Restaurant and Si Shih Lai Hand-pulled Noodles. Further south, the Harbour Capital has something that others don’t. Though it is the only one listed under Kaohsiung, Warung Sate Muslim promises a different fare. Located adjacent to the Kaohsiung Mosque at Jianjun Road, the restaurant not only cooks up Malay Indonesian food but also sells food products from the republic. Giving it more edge, the restaurant is okay when patrons want to order kebab from the next door kiosk. Of veggies and flowers If a halal restaurant is nowhere in sight, Muslims need not fret as it’s very likely there are vegetarian restaurants somewhere. Like the Chinese vegetarian restaurants back home, Taiwanese vegetarian cuisine comprised fruits, vegetables, fungi and beancurd. The plus points of these vegetarian restaurants are that they serve food typically cooked a la Chinese and that they range from simple neighbourhood outlets to elegant, posh restaurants. Such choices allow visitors room to manage their budget. For something different, Tai Yi Ecological Leisure Farm located in Puli, Nantau County serves edible flowers for lunch and dinner. Roses, chrysanthemum, water lily, ginger bloom and bamboo shoot take centre stage at the resort’s dining tables. They come in the form of fresh salad, California roll, deep-fried dish and soup. The blooms are said to promote beauty and youthfulness! Sweet Taiwan Taiwan is famous for its desserts. It is not hard to find shops and stalls specialising in sweet delicacies alone. The most common items are bubble tea and grass jelly which can be found almost anywhere at Taiwan’s street markets. However, the most unforgettable item is Taiwan’s version of our air batu campur (ABC) or ais kacang. While ours comes in a standard style of shaved ice topped with nuts, jellies and syrup, Taiwan’s come in a myriad of more colours and flavours. The bao bing is made of very finely shaved milk-based flavoured ice (unlike the “plain water” ice used for our ais kacang) topped with a choice of fresh fruits and sweetened beans, and a choice of syrup and condensed milk. Another must-have dessert is the taro balls, the specialty of Jiofen – a charming hillside old mining town about an hour’s drive from Taipei. The taro balls come in a variety of flavours like red bean, green bean and peanut, and are served in chilled or hot sweet soup. There are also uncooked taro balls for those who want to take home. Fast Facts Taiwan is a string of East Asian islands, located between Japan to the north and the Philippines to the south. It enjoys moderate temperatures all year round, with the best time to visit is during the cherry blossom season in either March or April. There are two international airports, Chiang Kai-Shek International Airport in Taipei and Kaohsiung International Airport. There is a complete round-the-island rail network that connects all major cities on the island. Taiwan also has a dense network of highways divided into national highways (freeways), provincial highways (both highways and expressways), and county and town highways. Both Taipei and Kaohsiung cities have Metro or MRT (Mass Rapid Transit) systems serving a large part of their metropolitan areas. Taiwanese currency is the New Taiwan Dollar (NT$), with a conversion rate of about US$1 NT$32 (RM3.50). How to Get There Cathay Pacific flies three times daily from Kuala Lumpur to Taipei and daily from Penang. There are also daily flights from Kota Kinabalu to Taipei on sister airline Dragonair. Interesting. I managed to watch several episodes of “Rasa Halal Orient”; recorded in China and Taiwan. Good show. Many interesting post in this blog. I salute the author. The Gold Coast is set to 600 sports a massive engine for Australia and the region. Officially, an Indy Car event, he switched to a V8 endurance race, is the endurance race for the third series Supercar Championship in Australia. The Gold Coast Business 600 more family friendly compared to the previous events difficult to get quality family accommodation and prices would be at a premium. However, there are ways to save on accommodation on the Gold Coast 600th The most logical solution is to work with other families in a house that can accommodate your needs to travel further. The two most popular areas for holiday homes in Broadbeach Waters family and Surfers Paradise. hi i want to import a taiwani product for australia.looking for a pakistani taiwani business man living in taiwan. hi i want to import a taiwani product for india.looking for a pakistani or indian taiwani business man living in taiwan. I am 62 and still like travelling, would like to travel to Taiwan (first time) with my wife. 1. What location would be best in Taipei ? 2. What 3-4 star hotel would be prefered ? 3. 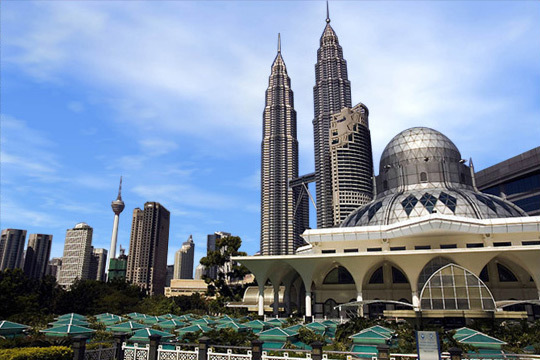 Hotel situated nearest Muslim halal food ? 4. As my trip would be free and easy, therefore transportation like MRT, bus and trains should be easily accessible (preferably). 5. Would 6 nights be a sufficient stay initially ? 6. The hotel provide ground tour arrangement or through agents nearby the hotel ? my girlfriend and i plan to get married in taipei. She is Taiwanese and of course we planned for traditional Chinese wedding, and searching for hotel with halal kitchen in Taipei. Appreciate if anybody could give any suggestion. hi i wanted to visit taipei this feb 17 to 21 feb i am 62 and still like travelling, would like to travel to Taiwan (first time) with my wife.